What did Peter, James and John do while Jesus prayed in Gethsemane? 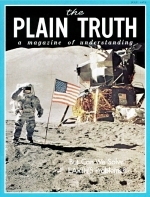 How are we able to give you The PLAIN TRUTH - without subscription price or advertising revenue? Because many people have voluntarily become co-workers, GIVING of their financial means so that we may GIVE to YOU! Many of these volunteer co-workers tithe their income. They find that it pays! We give you here an explanation of why they tithe. We all establish a sense of possession very early in life. My toys are very distinct from your toys. So are my clothes, my bed, my room, my house, my mommy and my daddy. We all begin with self-consciousness and work outward. Yet as we grow older, we begin to realize that, even though we call it my school, my city and my country, we do not have the same claim to these things as we do to my toys, my clothes or my bed.